I am so busy. We have to go to weddings and baptisms and the Apple store. I am really tired of all the running around. New York is supposed to be fun. 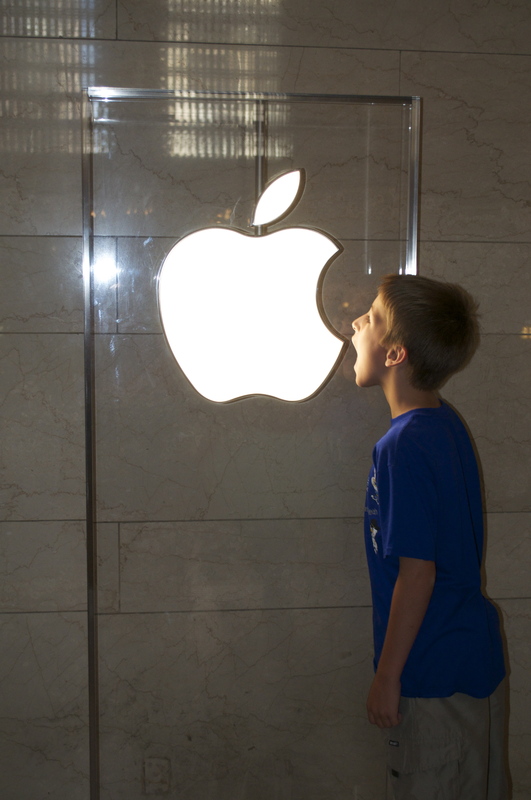 On Saturday, we went to Grand Central Terminal so we could go back to the Apple store there. My dad bought a new iPhone five and I played Chibi Knight while he was activating his phone. Then we went down to the concourse and ate at The Oyster Bar & Restaurant. My Dad loves to eat clams on the half shell – Yuk! I had chicken and fries – Yummy. 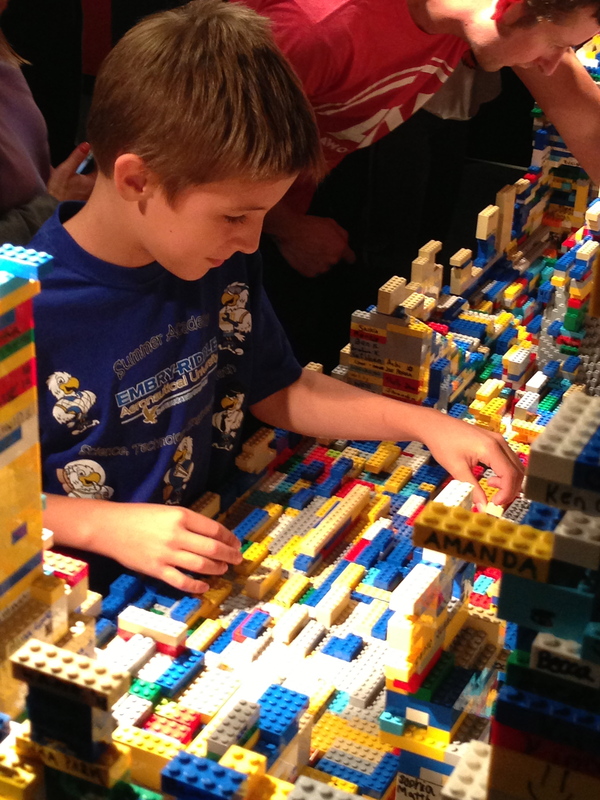 After that we went to the Art of the Bricks exhibit of spectacular sculptures and paintings using Lego bricks. I do the same thing and create all kinds of neat things using my bricks after building the piece the way they have designed it. On our way to the exhibit we met a Buddhist monk who was asking for money. 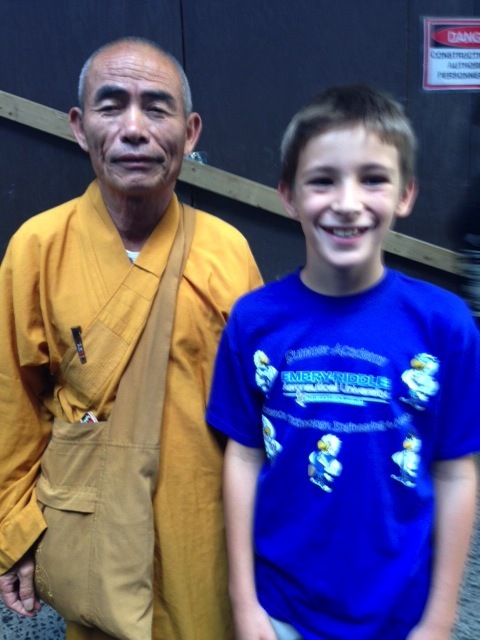 My dad gave him some money and the monk had my dad write down in a book what he wanted the monk to pray for – Peace. We then went back to our hotel to get ready for the wedding which was held in The Chapel of our Lady in St. Patrick’s Cathedral. 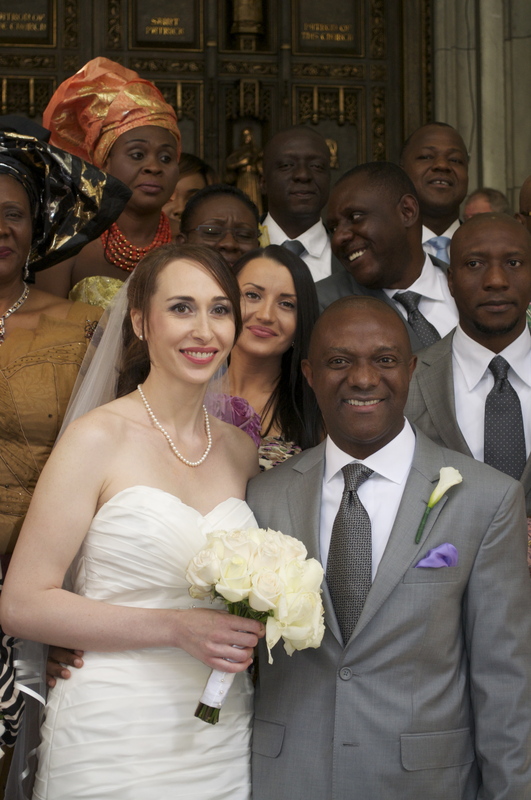 Our friend from NIgeria who is a doctor in New York and went to college with my Mom was marrying a lady from Moldova who has lived here a long time. 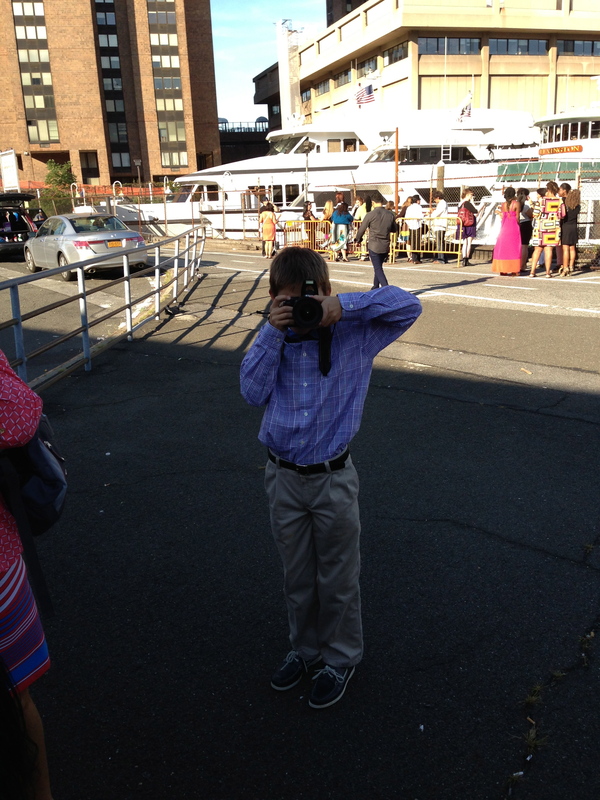 I got a chance to take lots of photos with my Mom’s extra camera. I really like to do photography especially using my “sniper” long-range lens. 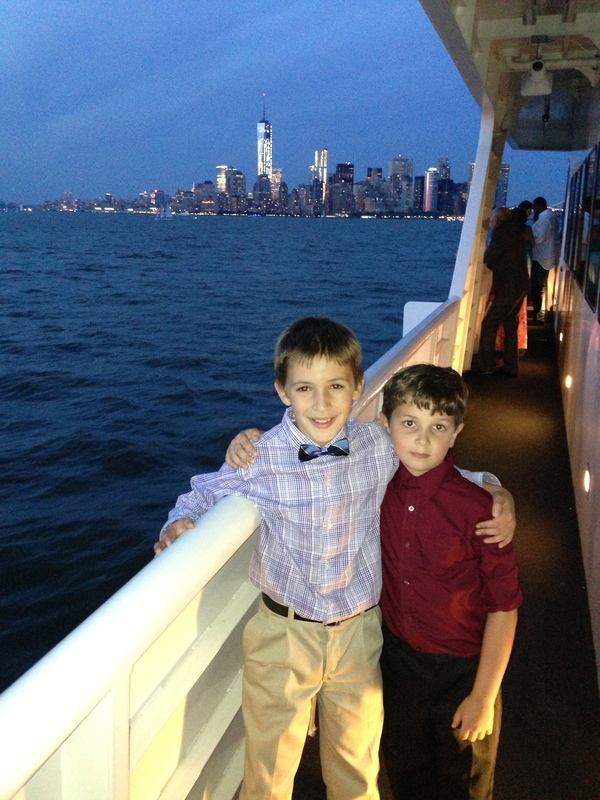 After the wedding we went to reception a The Water Club on the East River. On Sunday, we had breakfast and went to the 10:15 mass at St. Patrick’s Cathedral. Cardinal Dolan didn’t celebrate mass as usual and that was disappointing. We always get there early to get a main aisle seating so during the procession and recession I get a hug from the Cardinal. He is a great man of God. Then my dad and I went to the Apple store again because he needed some help downloading his Apps on his new iPhone. After that we headed for S’Mac for lunch on the recommendation of Ms. Maguire my technology and computer teacher at school. I had a “Nosh” of plain cheddar and no breadcrumbs. They cook it and serve it in a cast-iron skillet – Yummy! My mom had gone back to B&H to buy some new camera equipment and we met back in the hotel to get ready to go to a baptism at St. Patrick’s (again, 3 times now). I took lots of pictures there. After the baptism we went to the East River again for a boat trip down the East River to the Battery and then up the Hudson past Chelsea Pier. We past the South Street Seaport and the old sailing ships there and we saw the new Freedom Tower being built where the World Trade Center had been. Now I am back in our hotel getting ready to go to Day One of the US Open Tennis. After that I have lots of school work to do and get ready for our flight tomorrow to Belgium. This is Frederick and I am on a journey. ← Hello World, I’m In The Big Apple!